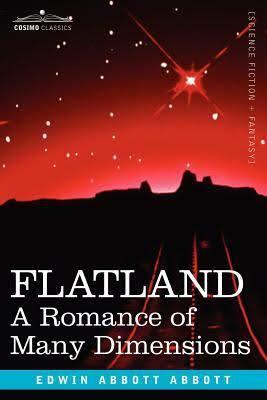 I’ve been talking about Flatland with friends and family for a while now and I can’t believe I haven’t done a review of this for the blog. It’s one of the more thought provoking works of fiction I’ve read (if your into dimensional stuffs). It’s about shapes. It’s a little sexist but it’s a book about shapes and the way we view our dimension. Imagine living in a world that is only one line. Then imagine living in a world where you are a 2D object. All you see is sides. This book explores that and it’s magical (mentally magical). It leads me into wondering about the 4th dimension because if a 2D world is so boring to us and a 1D world would be so simple to a 2D being what then would 4 dimensional being experience? Or maybe we are four dimensional beings and we just don’t know it. I love this book because it inspires my imagination. It tickles the creative sections of my mind and it makes me happy. If you are looking for something different I recommend this book. It’s very short. This sounds interesting. I remember having a kind of silly conversation with my brother quite a few years ago about what it would be like to live in a one, or two dimensional world. What’s kind of interesting is that this was written by a priest. I think I’ll check it out, thanks!